Discover the full taste of a truly authentic Brie. 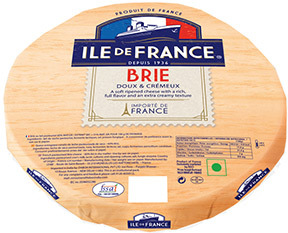 ILE DE FRANCE® Bries are distinctive for their fine, natural white rind, smooth, tender body and fresh, nutty flavour. Available from the cheese counter or pre-cut, giving you more ways to enjoy.